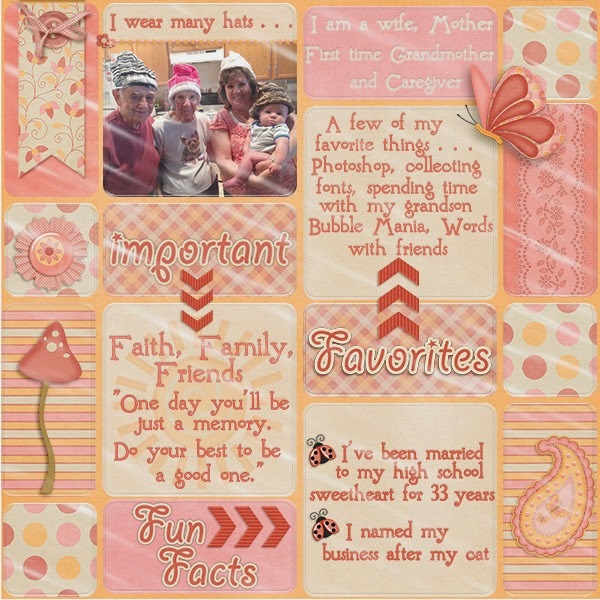 MyMemories Blog: Today's Daily Designer.....Sweet Pea Designs! Today's Daily Designer.....Sweet Pea Designs! In 2011 my sister decided to try a new venture and that is when Sweet Pea Designs was created. Many customers followed me in the transition and I am so very blessed to have so many loyal fans. I love designing but over the last few years it's been a tough balance. I am now caregiver to my Mom and Dad which keeps me quite busy, so my design time usually starts after dinner when things tend to quiet down and on into the early morning hours. I put my head phones on turn up the music and find it is an awesome stress reliever! The worries of the day seem to fade away at least for a few hours anyhow. One day when I was being tugged in a million directions and feeling overwhelmed, I met a women in the waiting room at one of my Dad's doctor appointments. She pulled out her knitting and we started to chat as we waited. She had numerous health issues and no family to help her. This saddened me yet as we talked she was so positive and upbeat. She said we have two choices, to be happy despite our troubles or to sit around and feel sorry for ourselves. For her, knitting these hats became her mission to help make someone elseís day a little better. She gave out 8 hats that day and never accepts donations. The only thing she asks is for those that receive a hat to pay a good deed forward and help to make someone elseís day a little better. Awesome, right? If we all could do this one simple thing the world would be a much kinder place. She definitely made my day better and I will never forget her! Thank you to My Memories for featuring me today and to all of you who support my designs. My Memories Design Shop and enjoy 50% OFF!